Helen McCarthy and I did a Reddit AMA on Saturday 21st March 2015. **Title of AMA**: We are Jonathan Clements and Helen McCarthy, the authors of The Anime Encyclopedia: A Century of Japanese Animation, out now from Stone Bridge Press. **Background/description of AMA subject**: Anime super-fans Jonathan Clements and Helen McCarthy, authors of the 1200-page, 1.1 million words of The Anime Encyclopedia: Revised 3rd Edition: A Century of Japanese Animation, will be answering questions about Japanese animation, comics, and fandom. 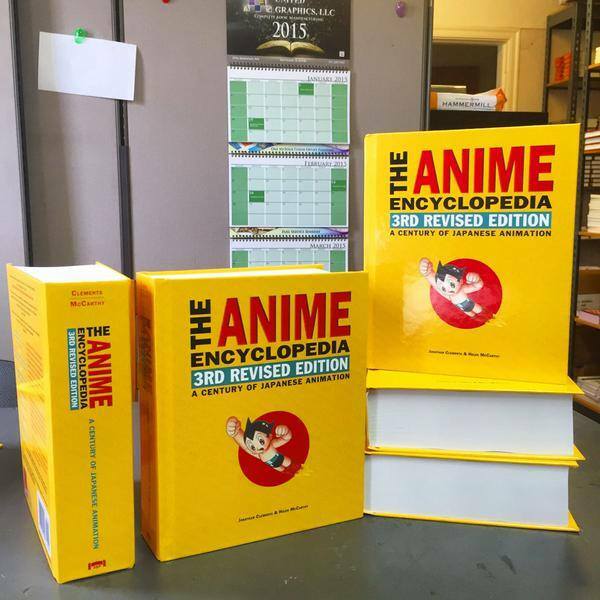 Why does the world need an encyclopedia of anime? Is print dead? Why have they got such big eyes? What’s so wrong about Tenchi Muyo? What’s the worst anime ever? The best? the craziest? How much is too much? Is there a tentacle limit? Is there hope for the future? What is the flight velocity of an unladen swallow? All these questions, and more, can be answered or at least sarcastically dodged by the authors of the biggest book on anime to be found in any language, including Japanese. This entry was posted in News and tagged reddit proof by ixarette. Bookmark the permalink. Good opportunity for super fans! I feel like a moron see I love history, I own at last count 750plus history books. I love anime and also own a load of anime DVDs and yet I just five minutes ago realized (from your amazon page)that you are both the author of several history books I own including one of my favs coxinga which I got in hardback when it first came out and I also have your anime encyclopedia and buy NEO. I until now was oblivious to the fact that one of my best historical writers also does great writing on my other passion anime and manga. Great work.